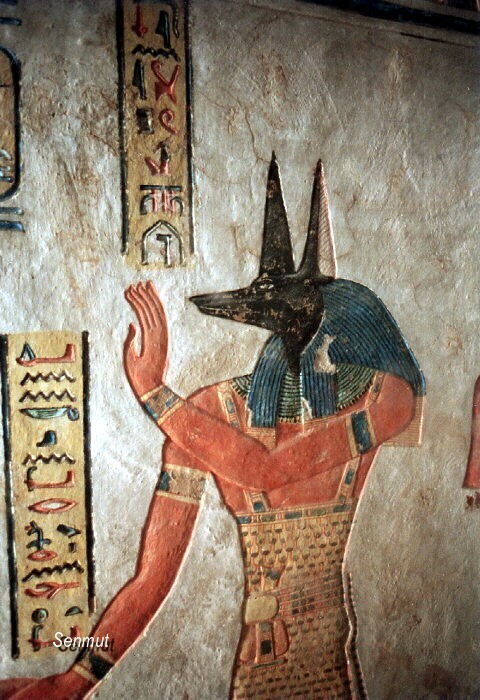 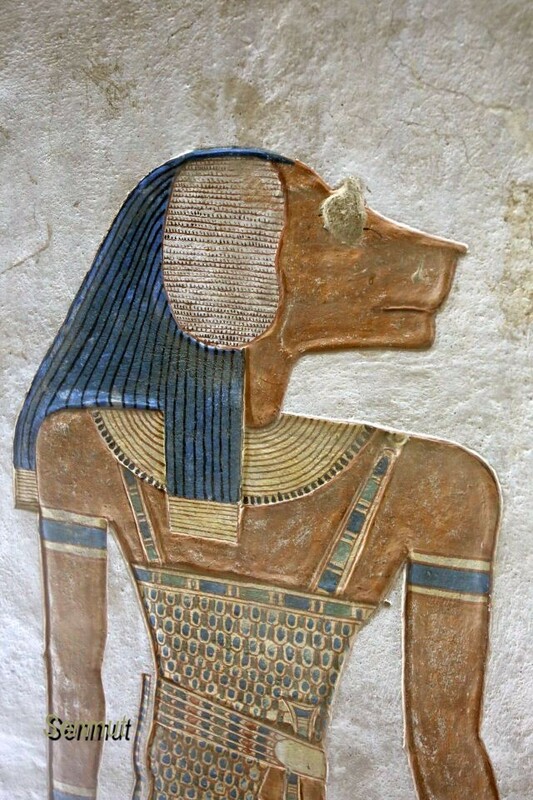 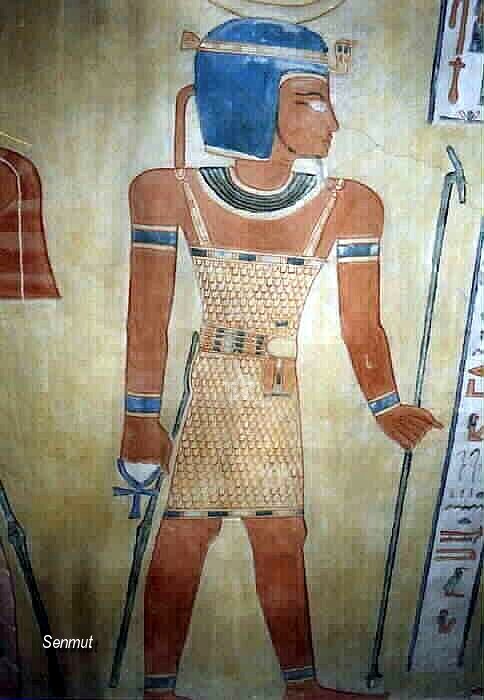 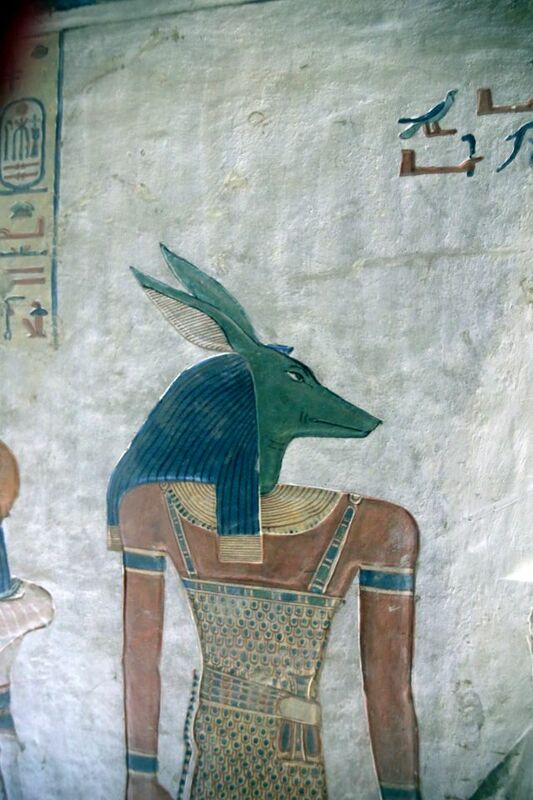 He was the son on Ramses III and like many of his brothers named after the sons of Ramses II. 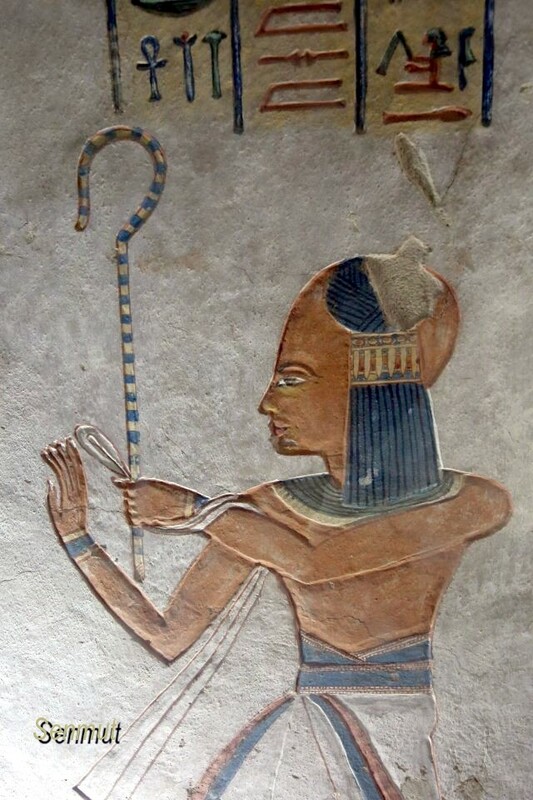 He and his brother Pareherwenemef are mentioned as Eldest Kings son, so the probably had different mothers. 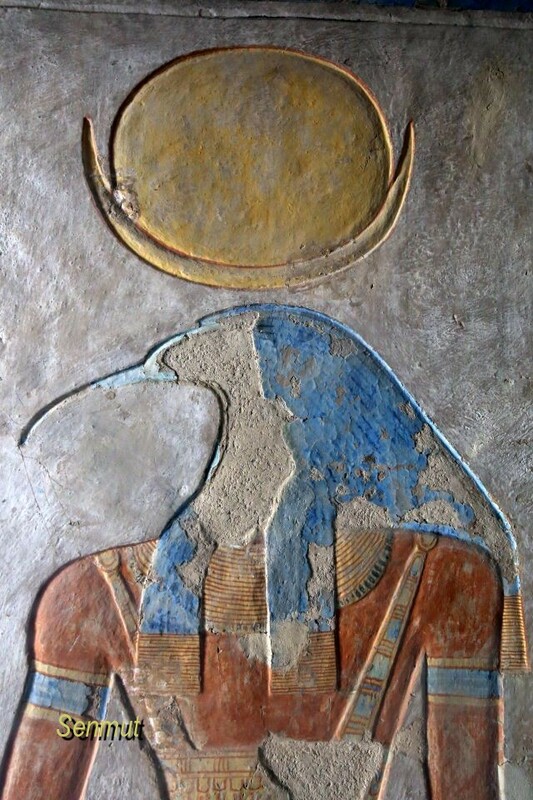 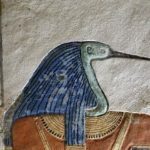 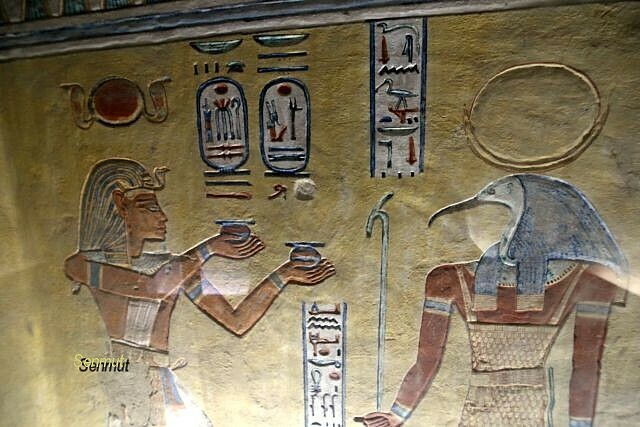 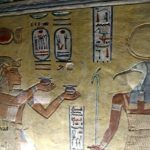 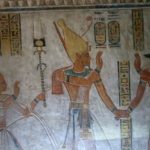 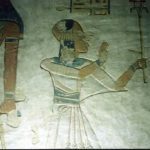 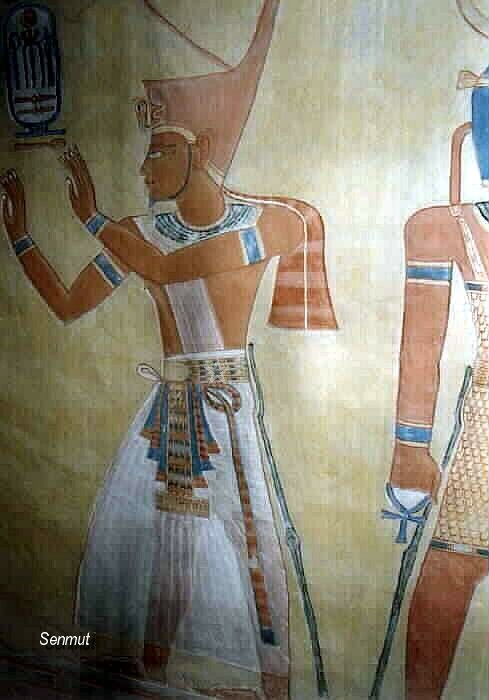 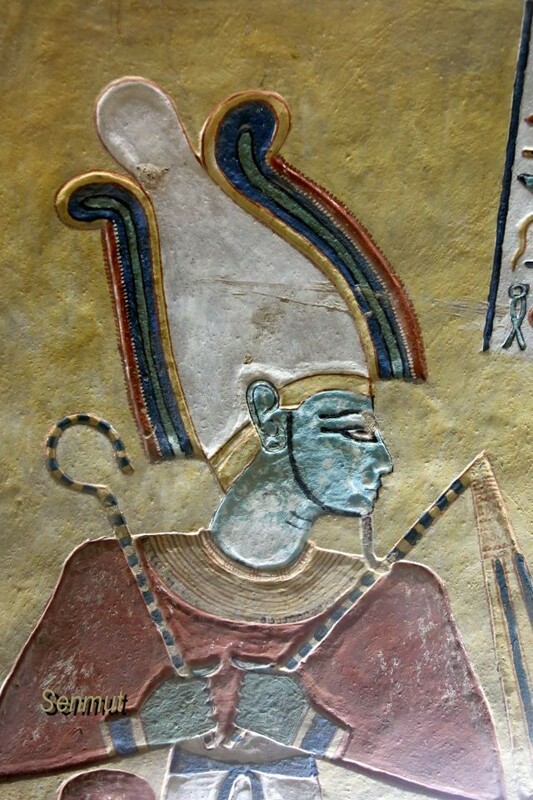 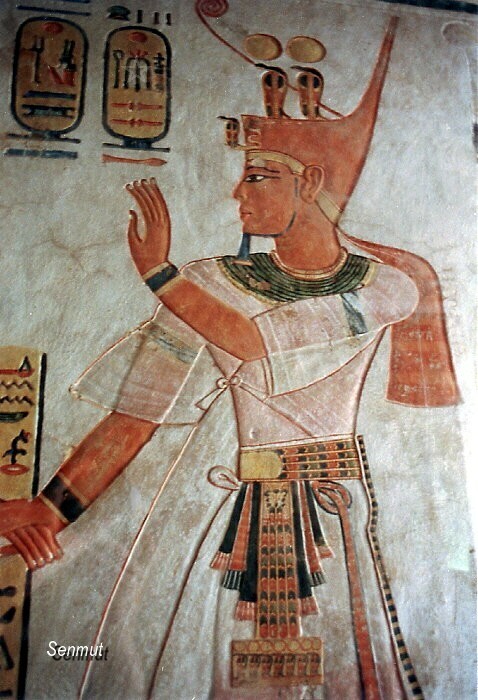 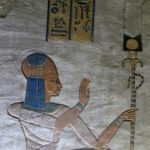 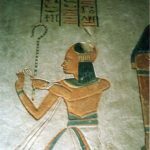 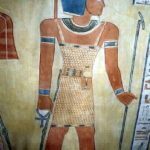 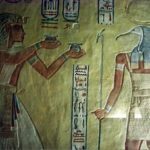 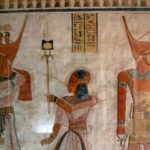 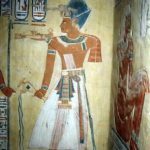 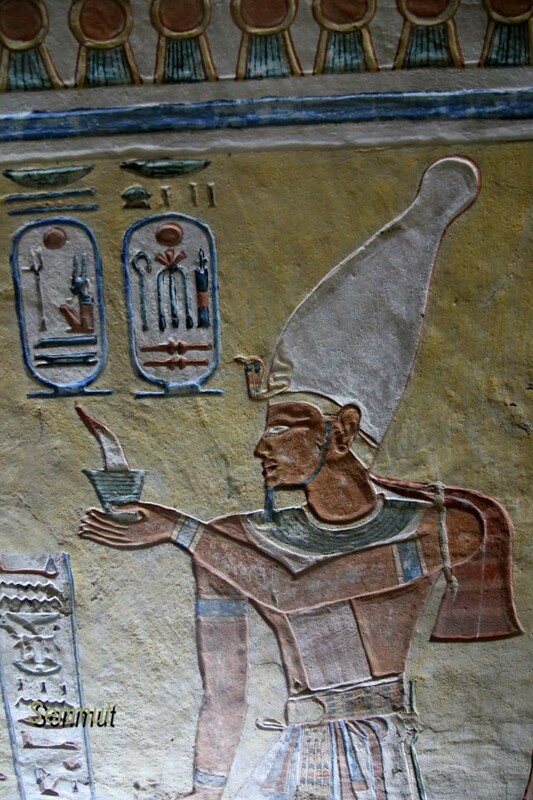 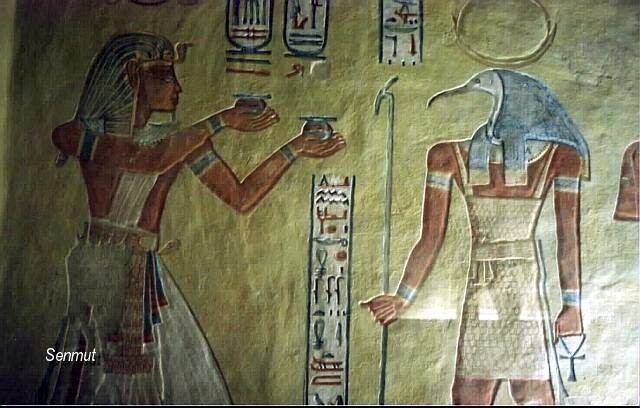 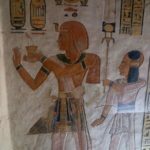 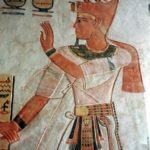 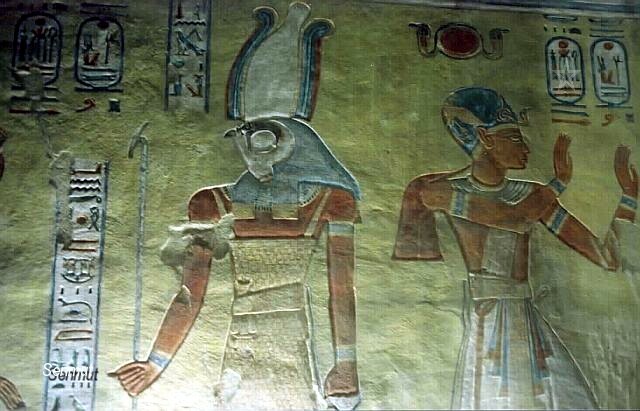 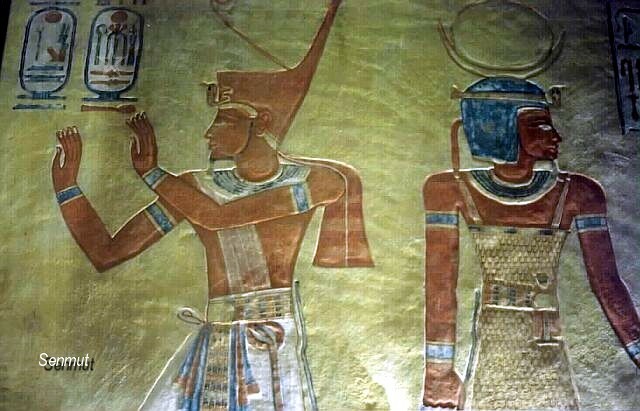 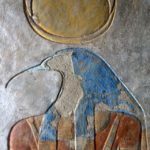 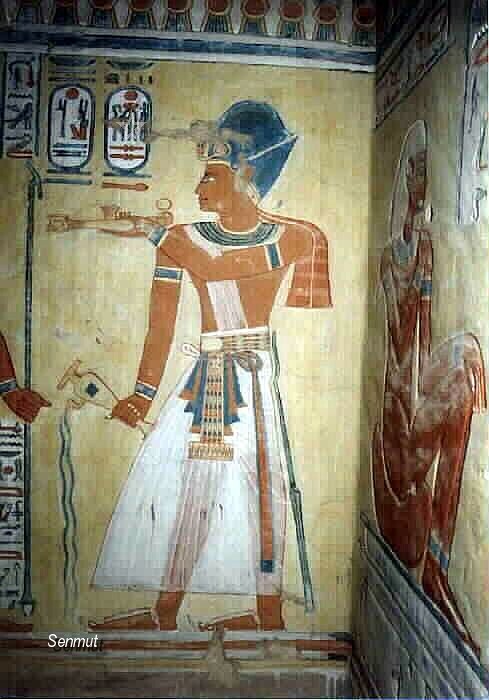 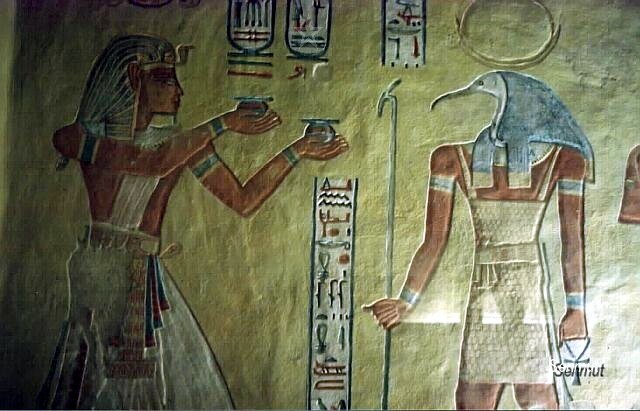 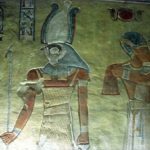 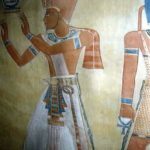 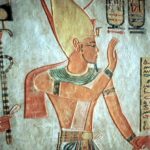 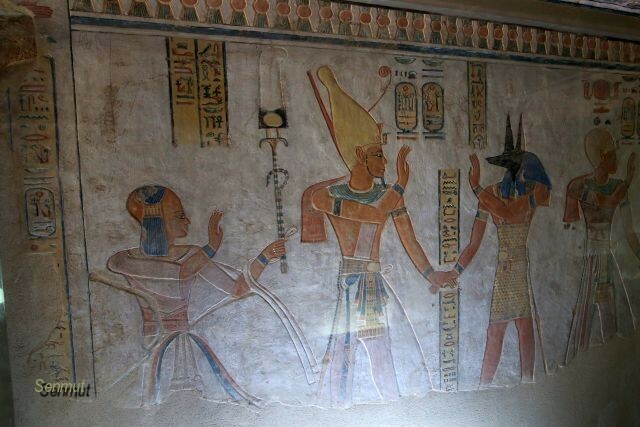 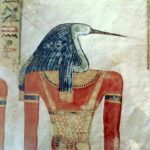 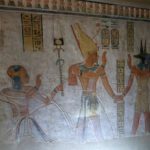 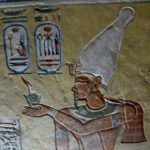 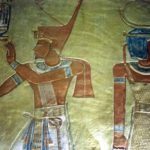 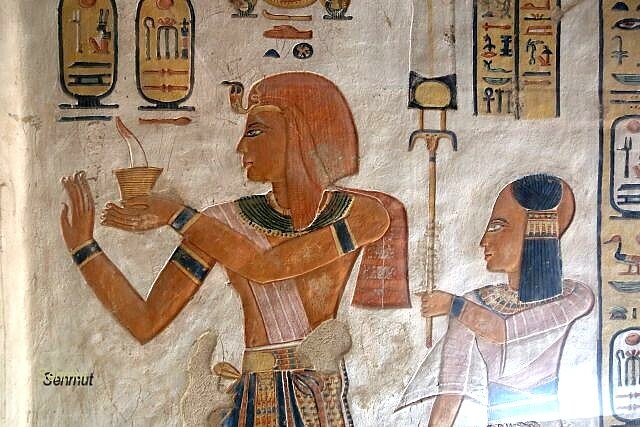 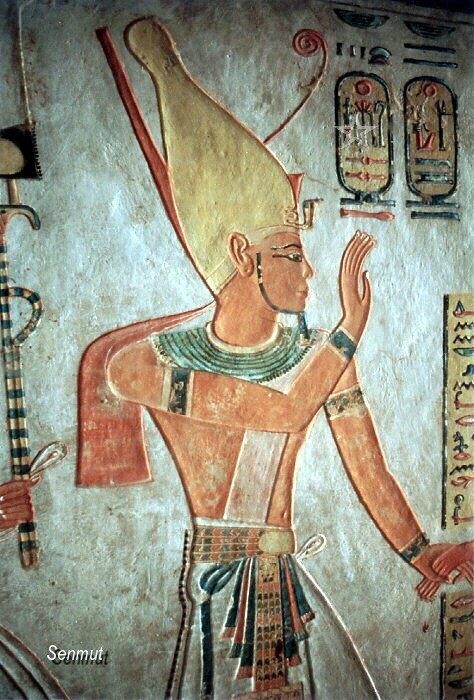 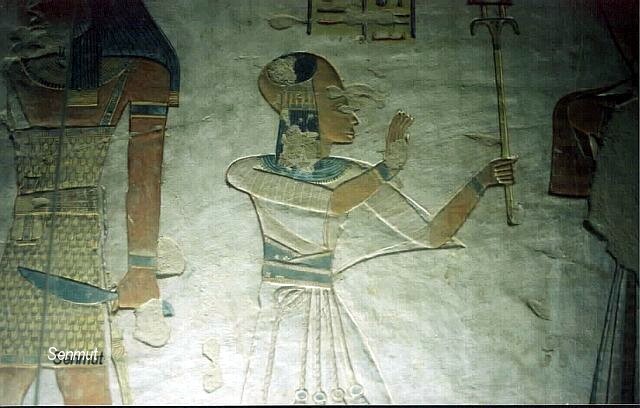 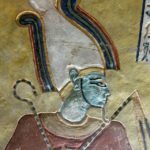 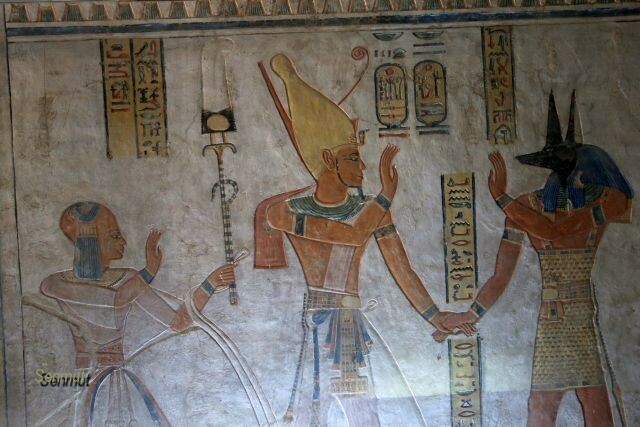 Khaemwaset was a priest in the temple of Ptah, though only a Sem-priest. 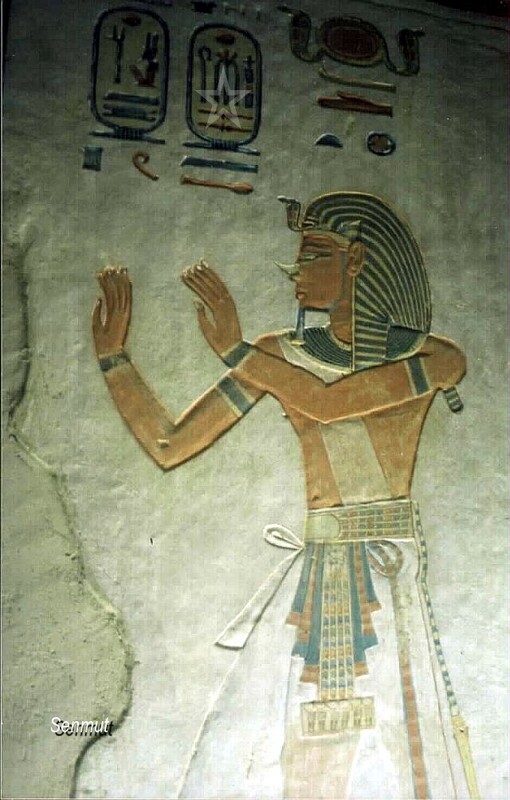 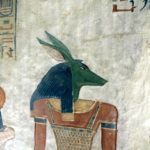 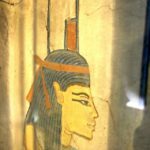 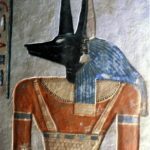 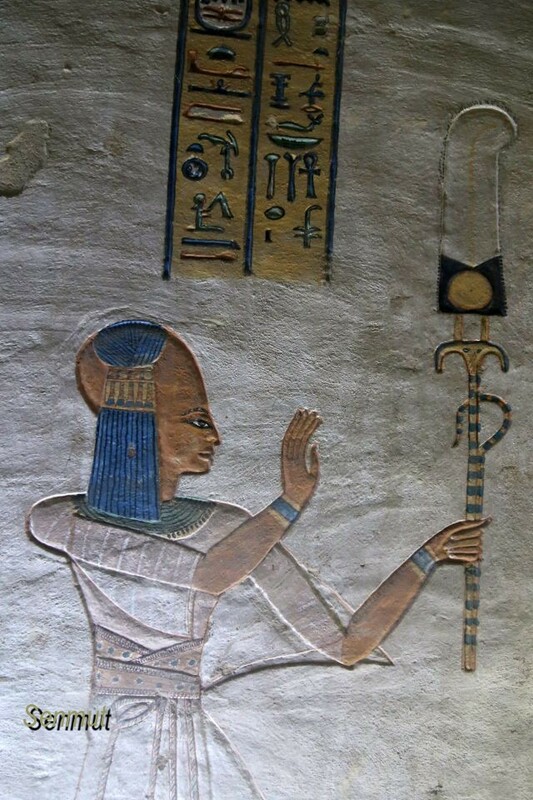 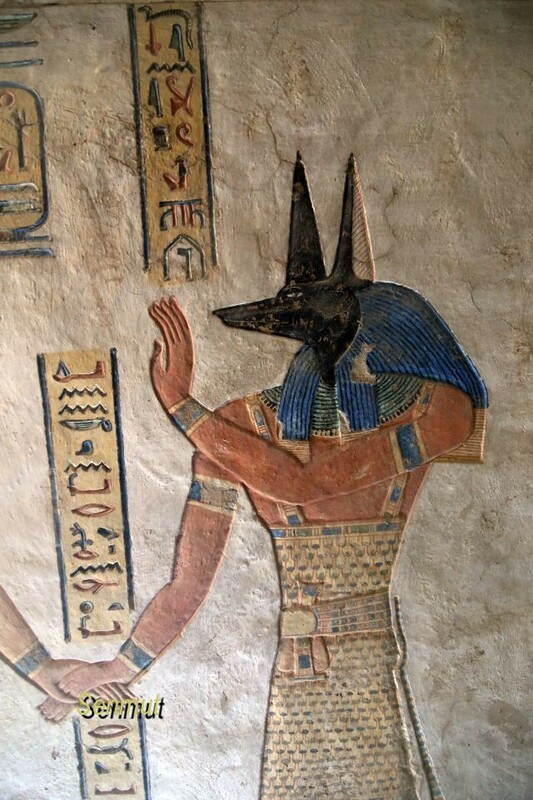 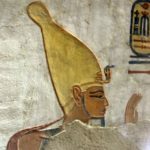 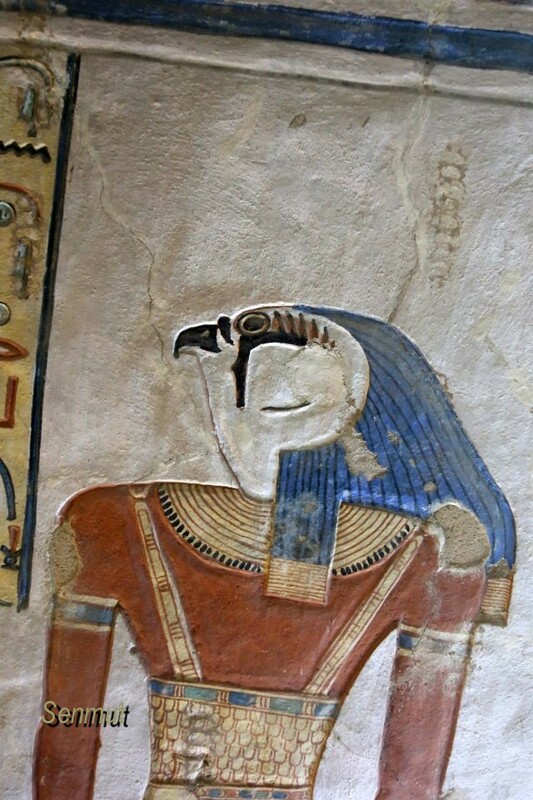 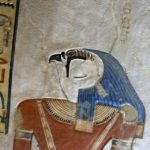 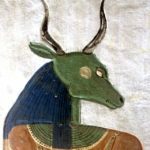 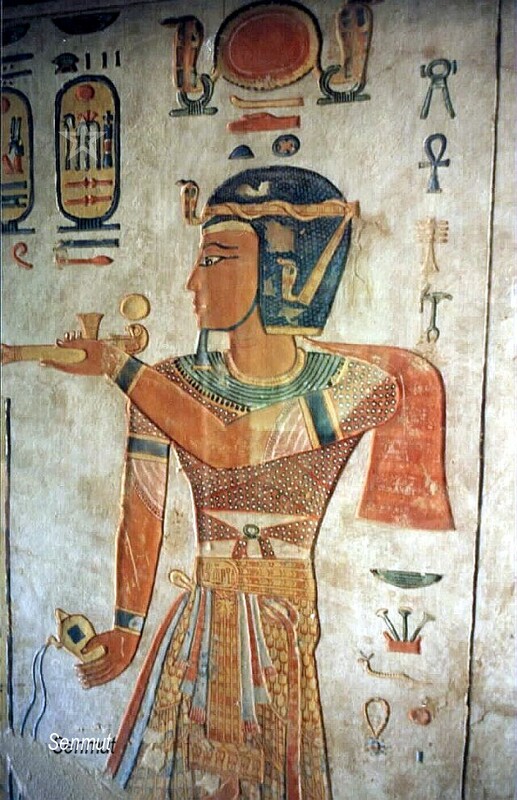 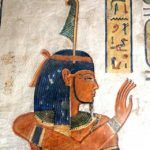 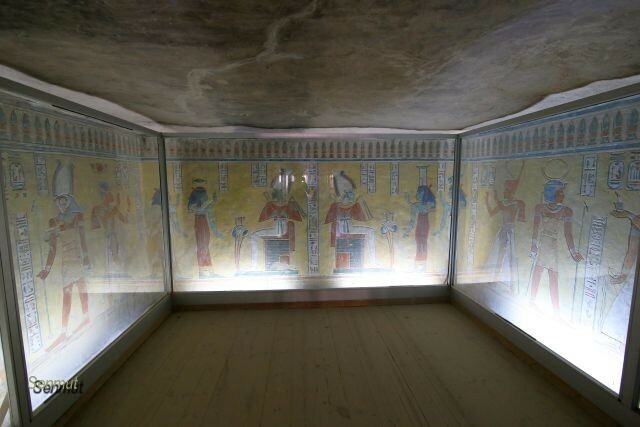 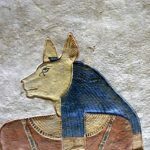 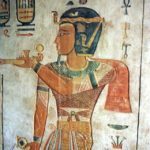 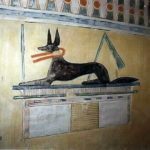 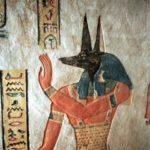 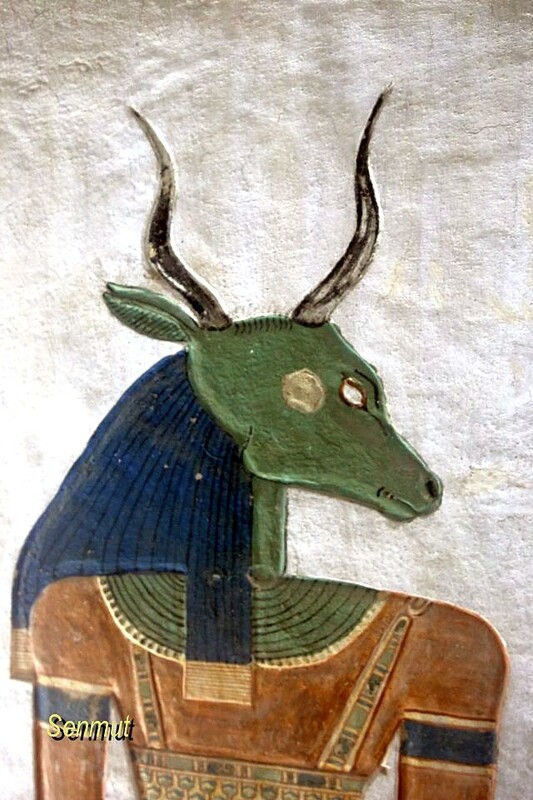 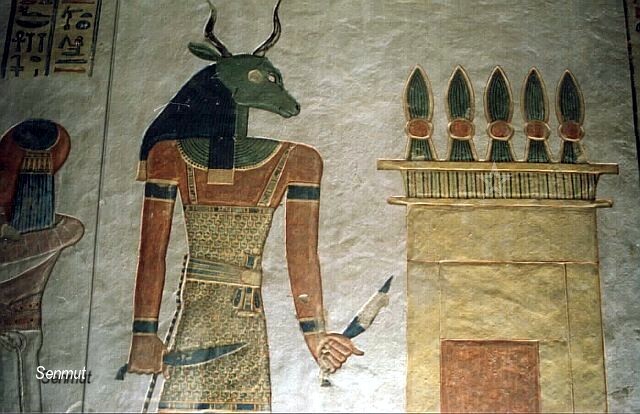 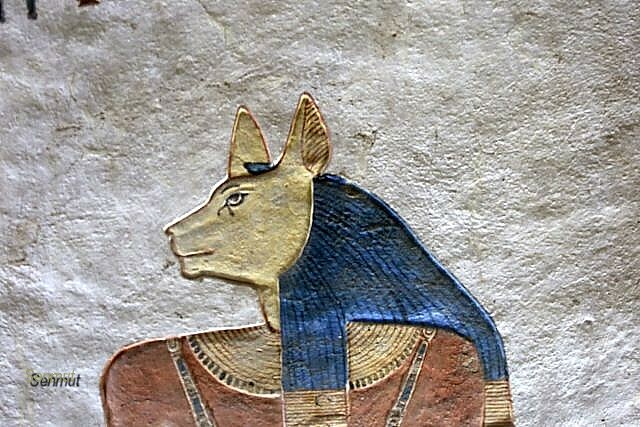 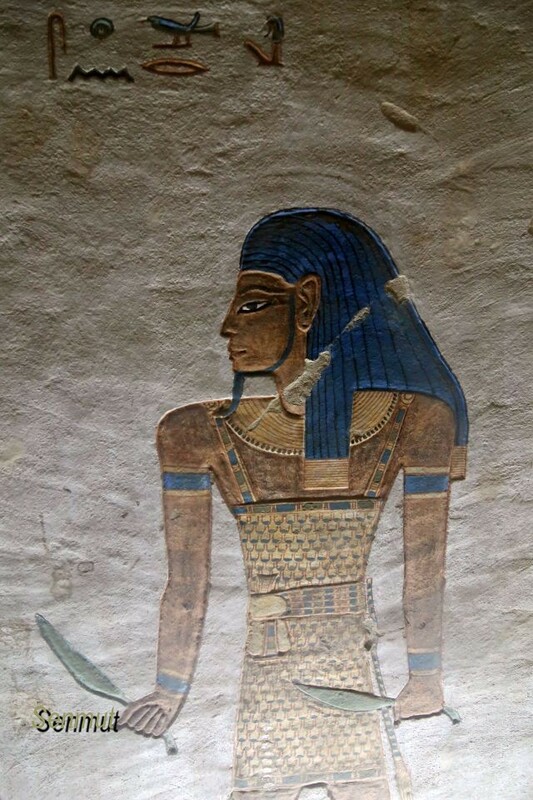 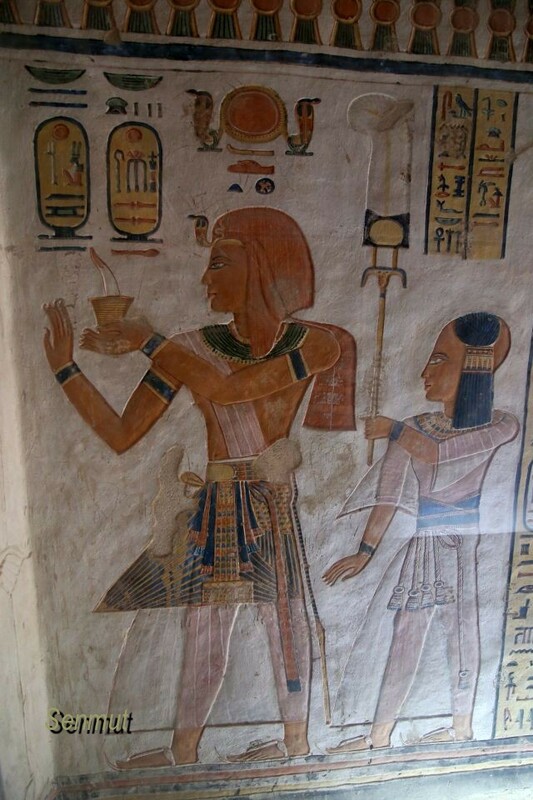 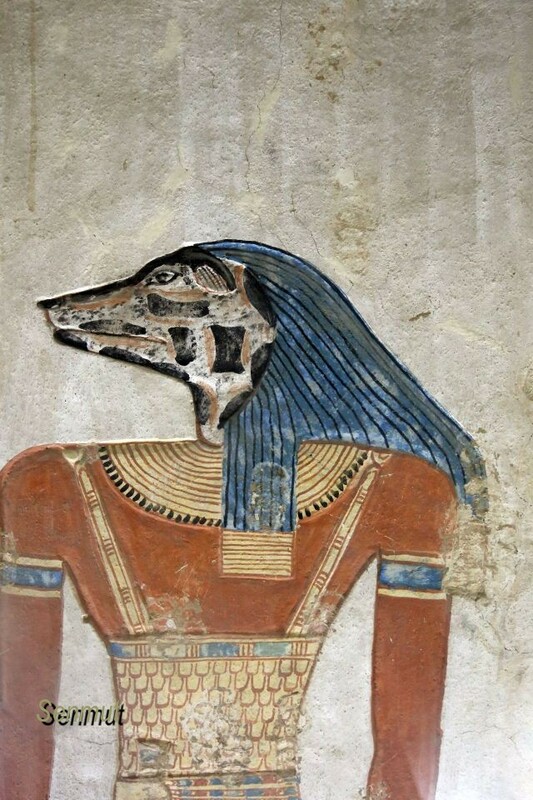 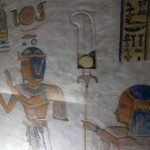 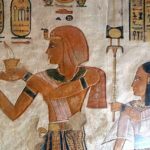 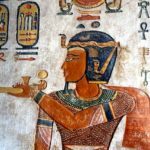 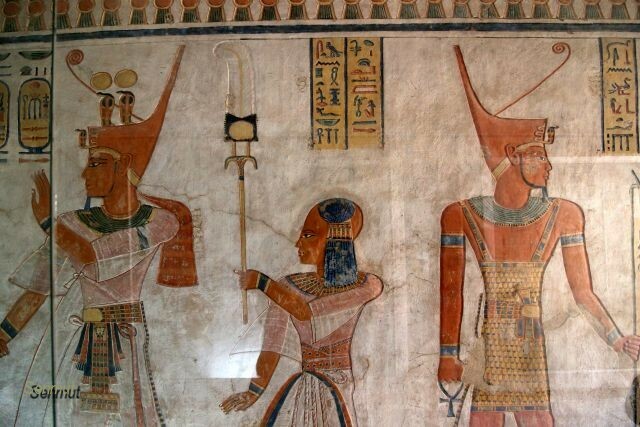 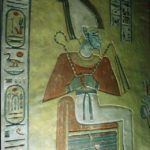 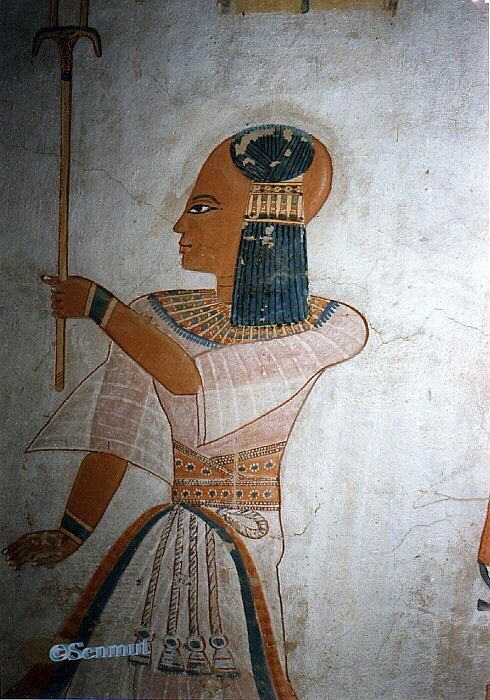 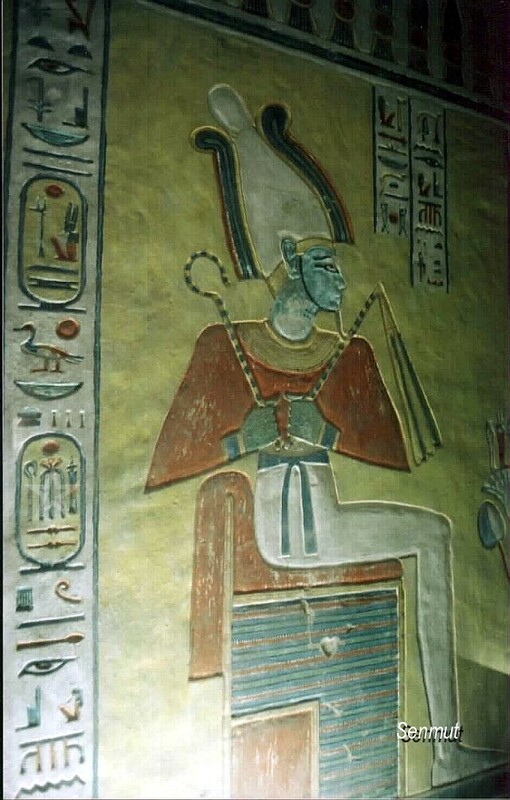 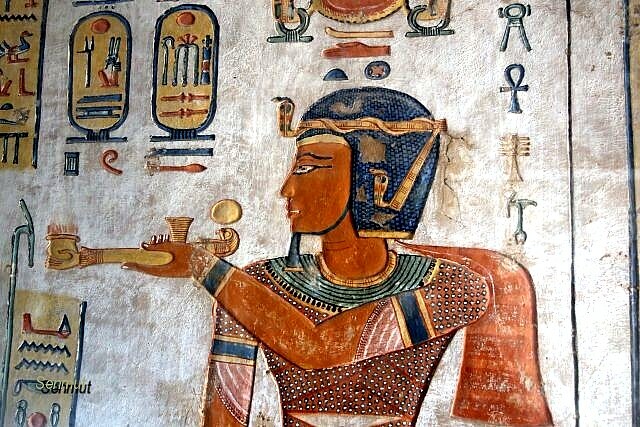 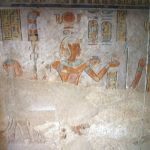 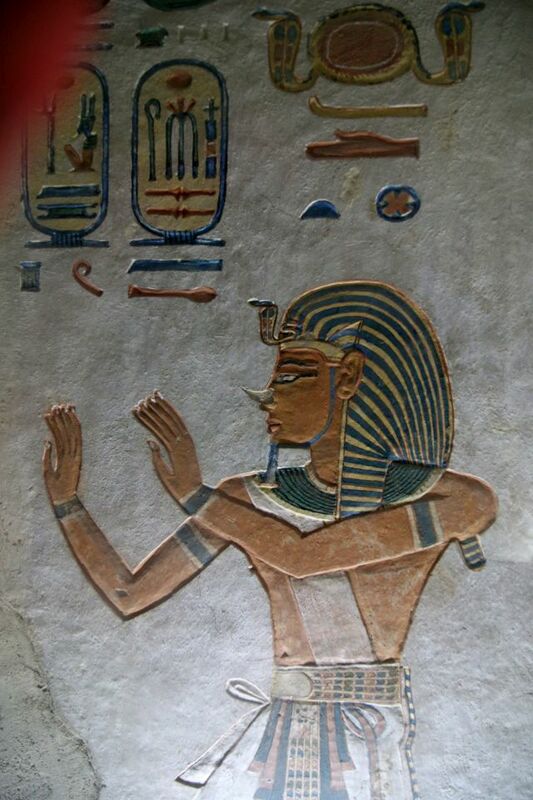 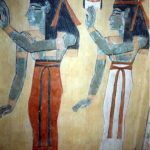 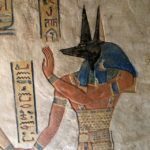 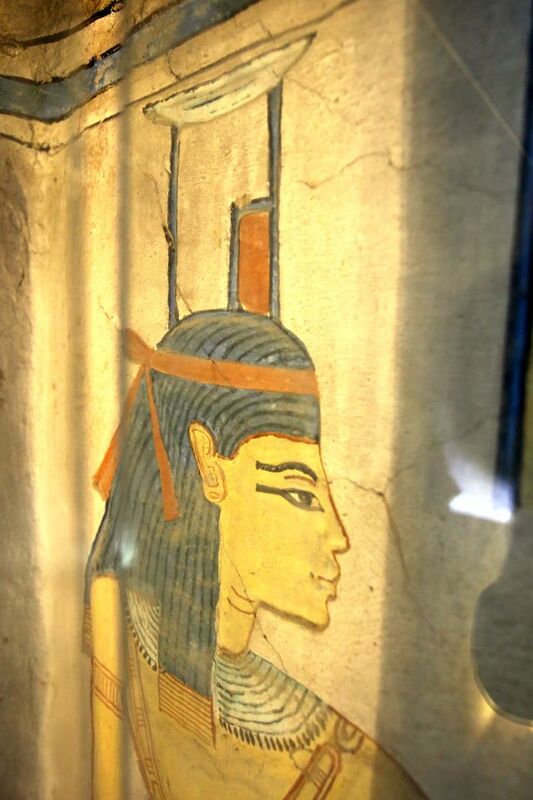 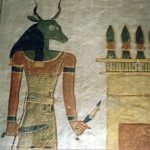 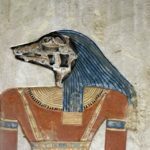 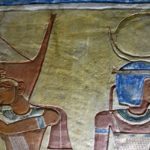 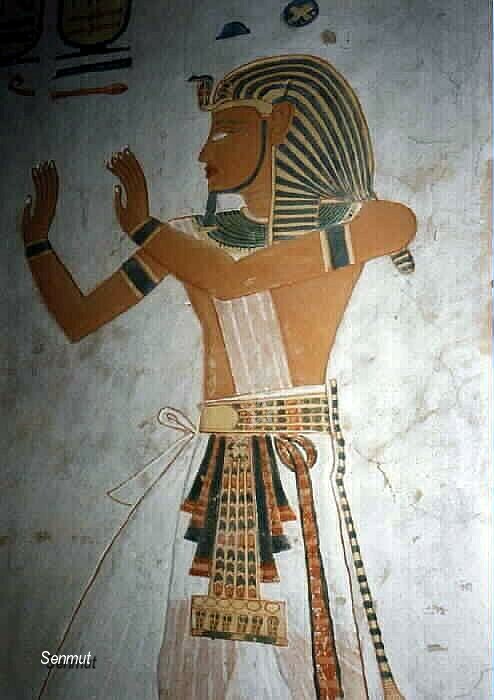 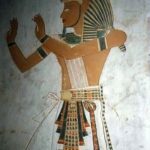 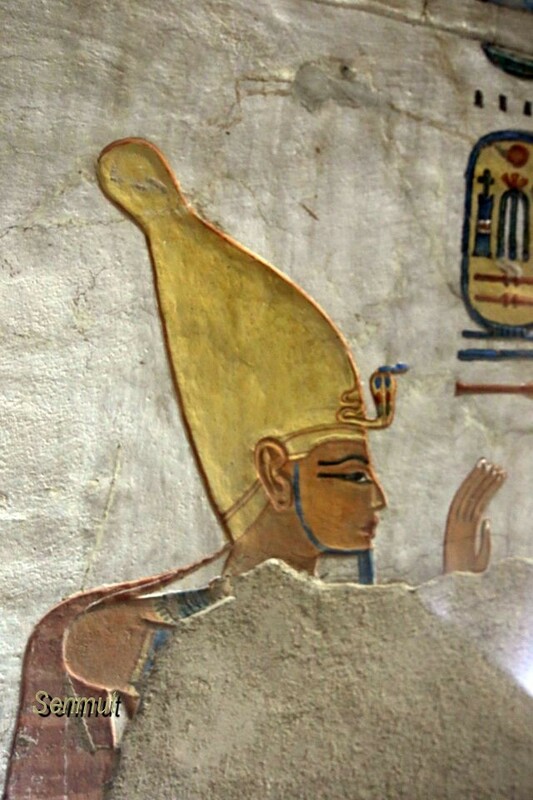 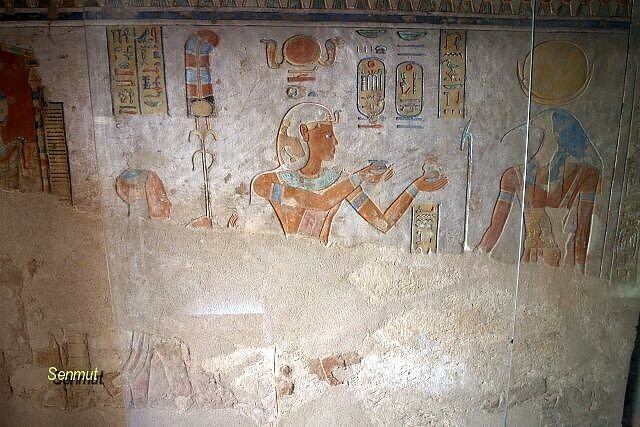 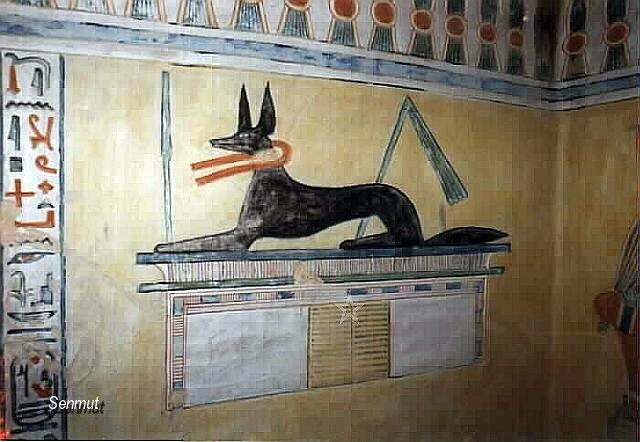 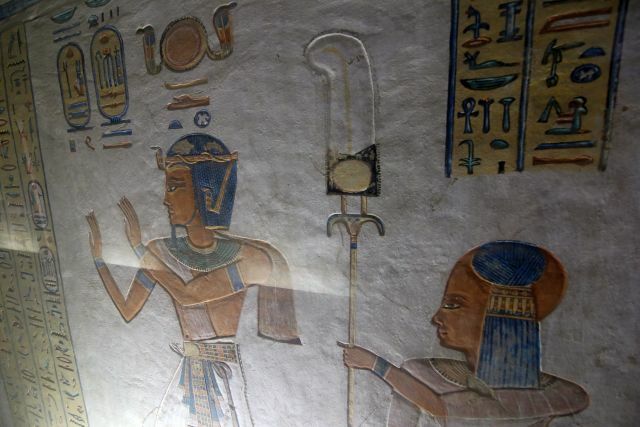 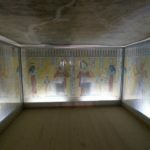 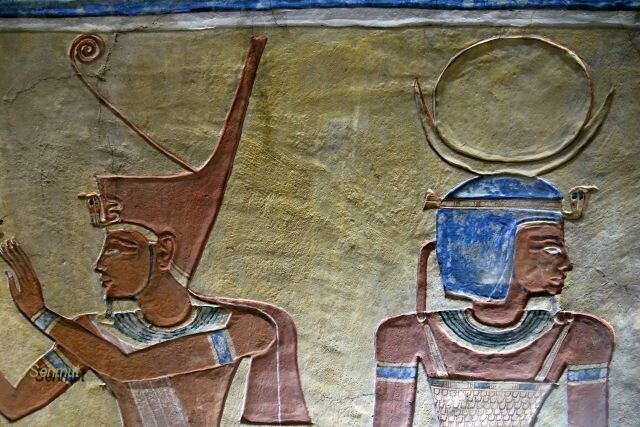 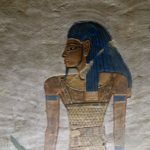 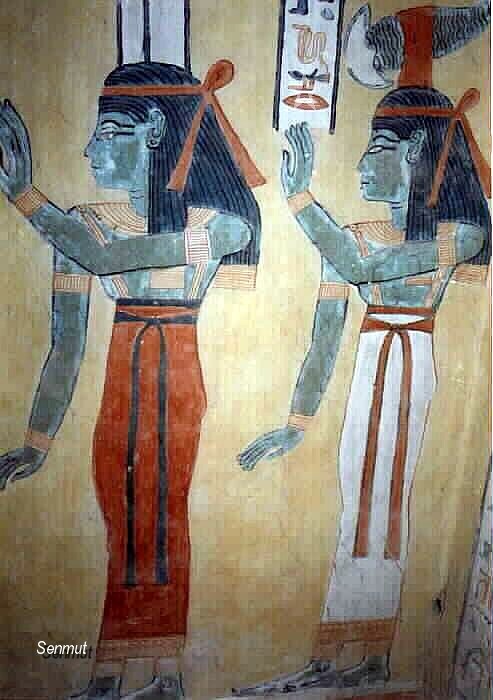 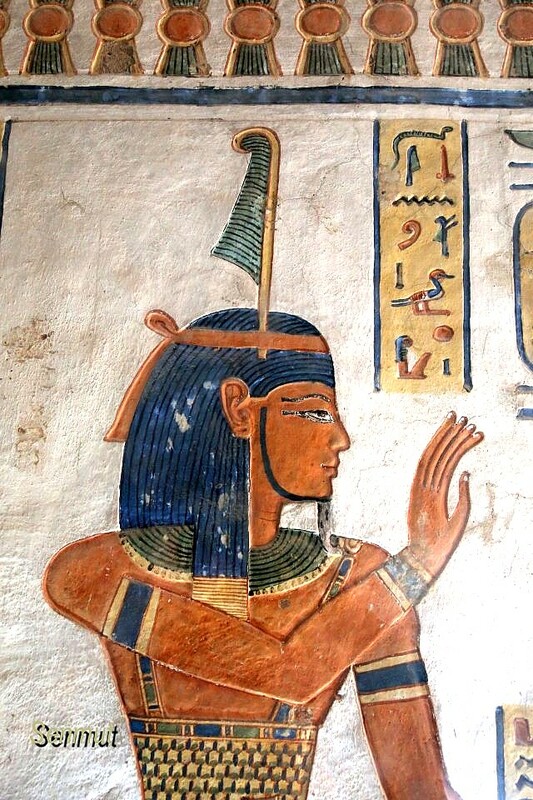 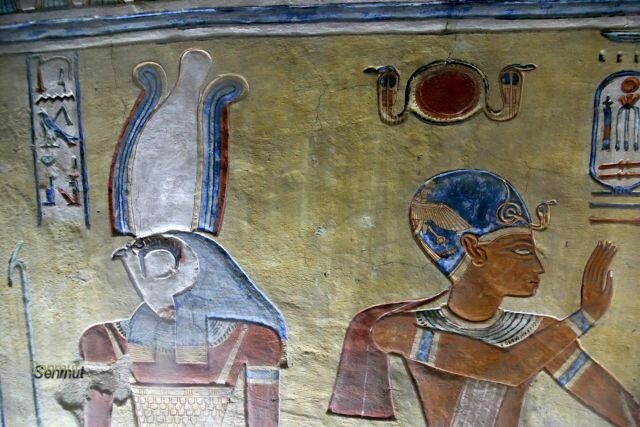 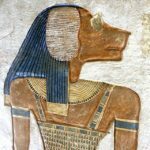 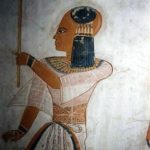 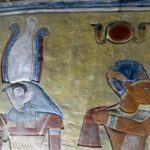 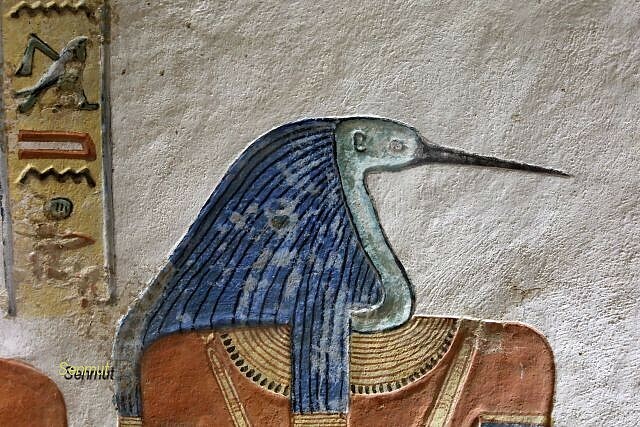 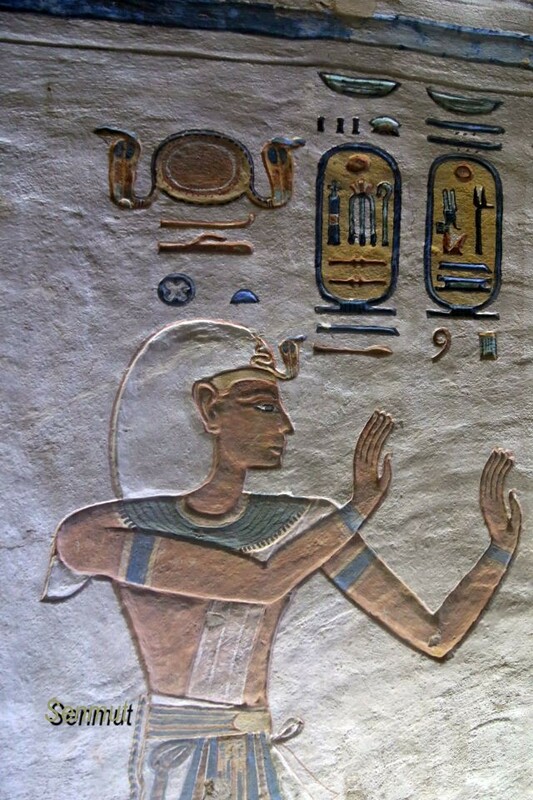 Probably he was third in line as hereditary prince, first born Amen-her-khepsef had died at young age, and when Khaemwaset died, it was after the death of his father and his burial took place at the beginning of the reign of Ramses IV (HeqamaatRa Ra-messes) in his tomb QV44. 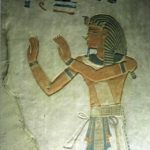 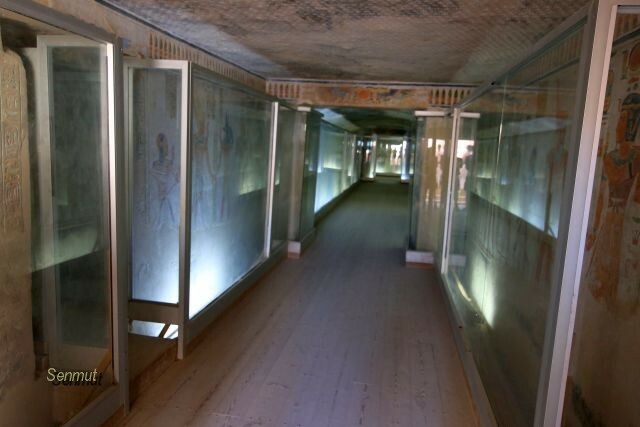 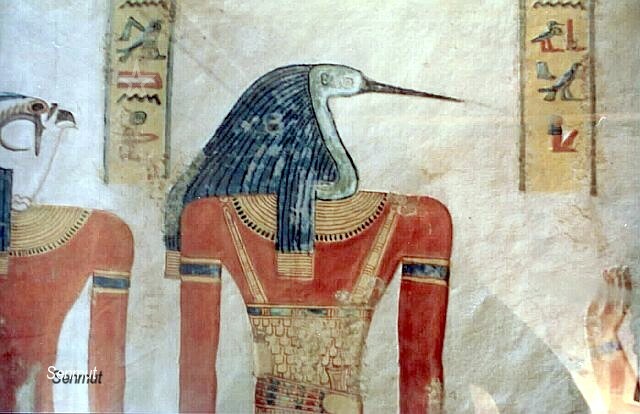 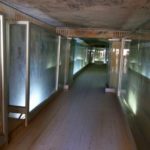 His sarcophagus was discovered inside the tomb and is now in the Museo Egizzio Turin, as probably is his mummy. 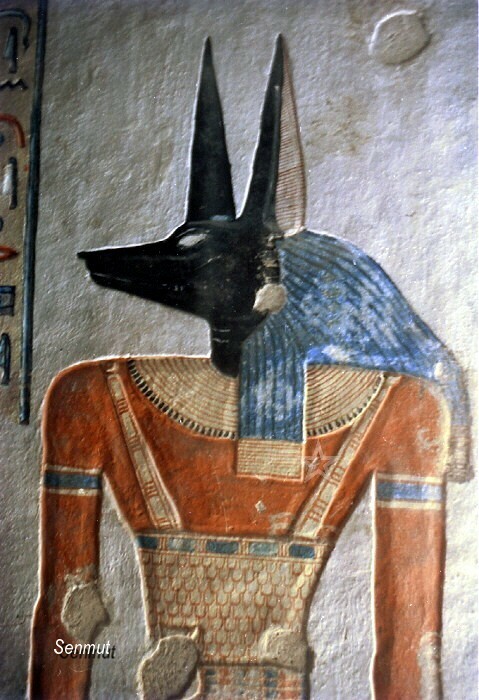 A canopic jar, also found in the tomb is now in the Cairo Museum. 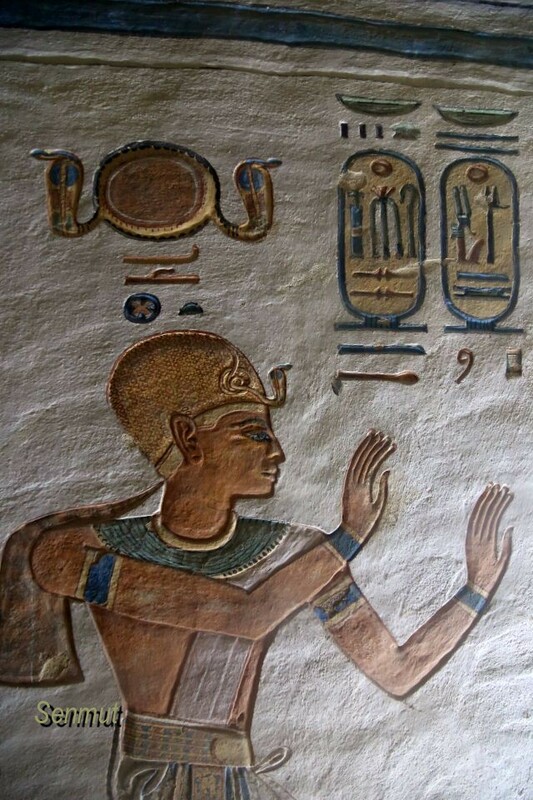 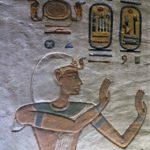 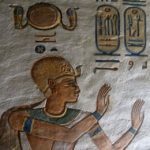 Because of the long reign of Ramses III, which was over 30 years, Khaemwaset could very well be running in his thirties, when he died. 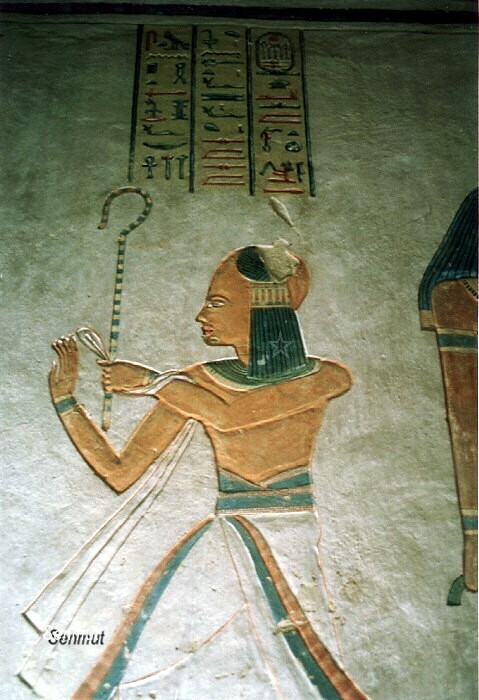 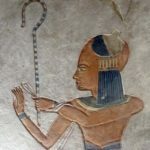 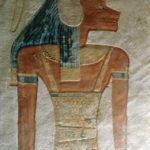 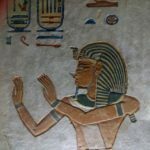 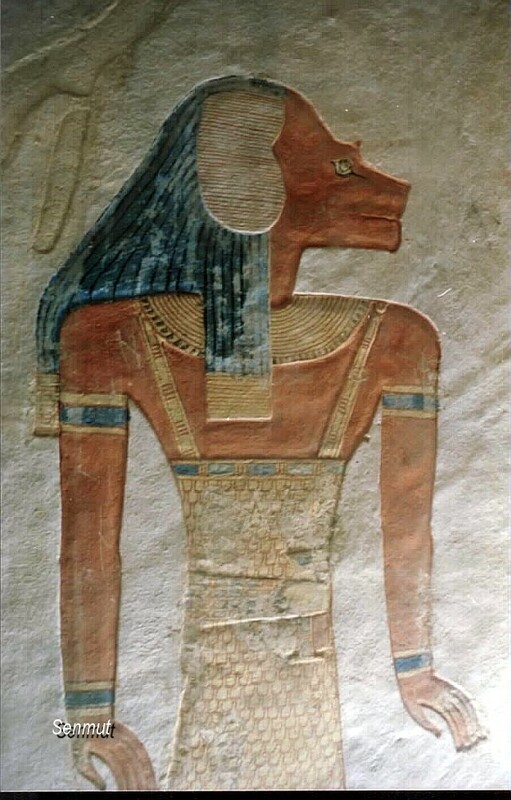 The fact that his image looks like a young boy with a youth lock is just a way the Egyptians represented a son of a farao.